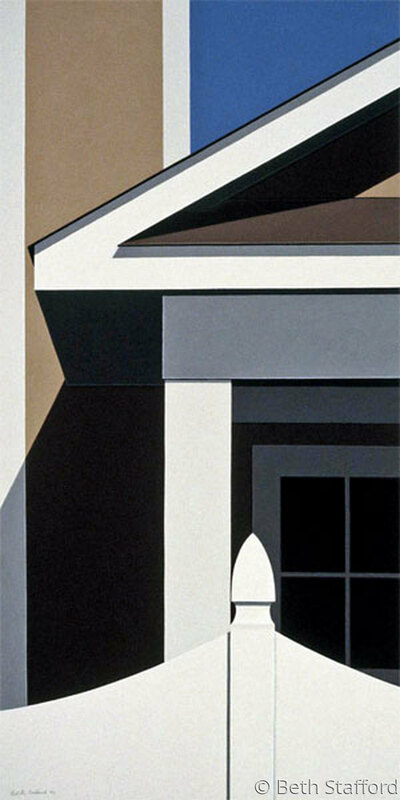 Architectural abstraction in gouache by Beth Stafford. Archival mat, basic gold metal frame with plexiglass. Frame size is 36" x 21".